We are committed to being an artisan bakery and therefore we take pride in baking our croissants from scratch. 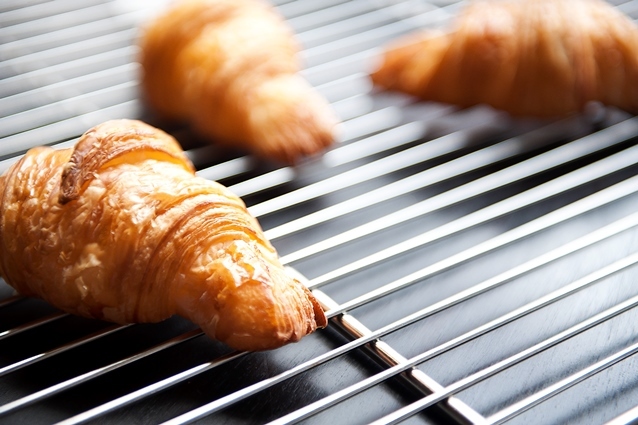 At a time when most croissants you’ll find in Jakarta are frozen, it takes us three days to make, shape and bake this world-famous typical French breakfast staple. But the result, this light and flaky dough, layered with butter is well worth our effort and your appreciation. New menus, new tableware, new beginnings! The Kitchen is Now Open! Our Valentine’s was more like Halloween! Komunal88 is a café-market for food enthusiasts, people like us, who care about what we eat or drink. We are purveyors of gourmet products, from countries with a long culinary history and a vibrant food culture, such as Italy and France in the Old World, but also the Middle East, such as Turkey or Iran, and more recently Brooklyn, USA in the New World. We source as many products as possible from Indonesia, choosing the best and most reliable suppliers to sustain our supply to our customers. Copyright © Komunal88 Café Market. 2019 All Rights Reseverd.